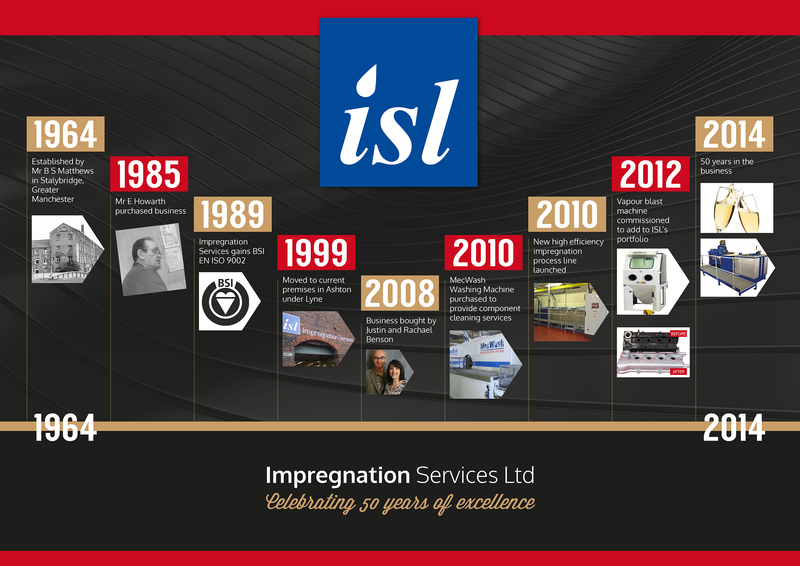 Impregnation Services Ltd was established in 1964 and takes great pride in being a family run business specialising in vacuum impregnation. In February 2008, husband and wife team Justin and Rachael Benson led a management ‘buy-in’ of the company from the previous owners. Over the last 10 years ISL has seen a major re-investment in people, plant and machinery which has resulted in improved quality and service. Through continual investment, coupled with a commitment to employ highly skilled staff, ISL has been able to consistently provide its customers with an outstanding vacuum impregnation service. Whether it is a single part, a production run of many 1000’s or a specific application, ISL can solve your porosity problems. For more information please contact a member of our team today.